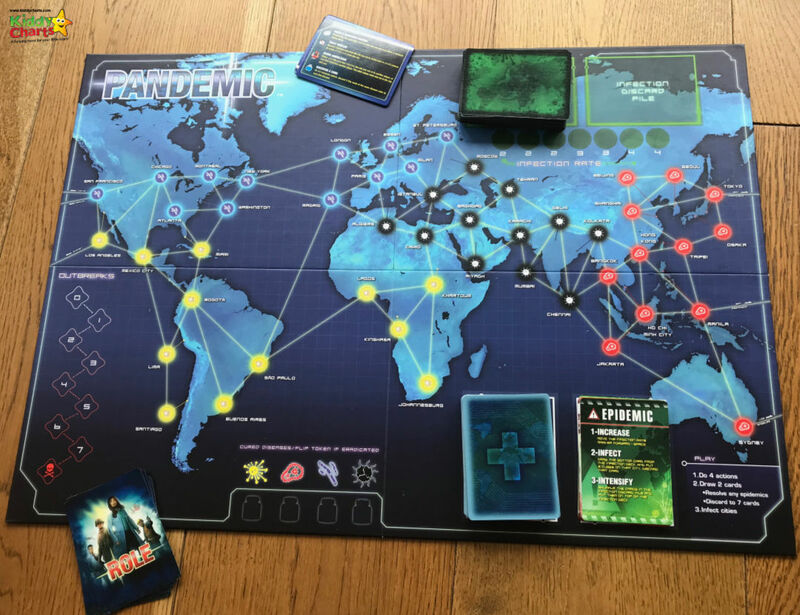 We are reviewing the second of the games within the Blogger Board Games Club this week; Pandemic. Last week, we published our Ticket to Ride review, for the Europe edition of the game. Do check it out as well. Pandemic is a very original concept; with all players involved in the game actually trying to win “together” rather than playing against each other. This is a game aimed at age 8+, for two to four players; so perfect for the kids to play together, or as a family. 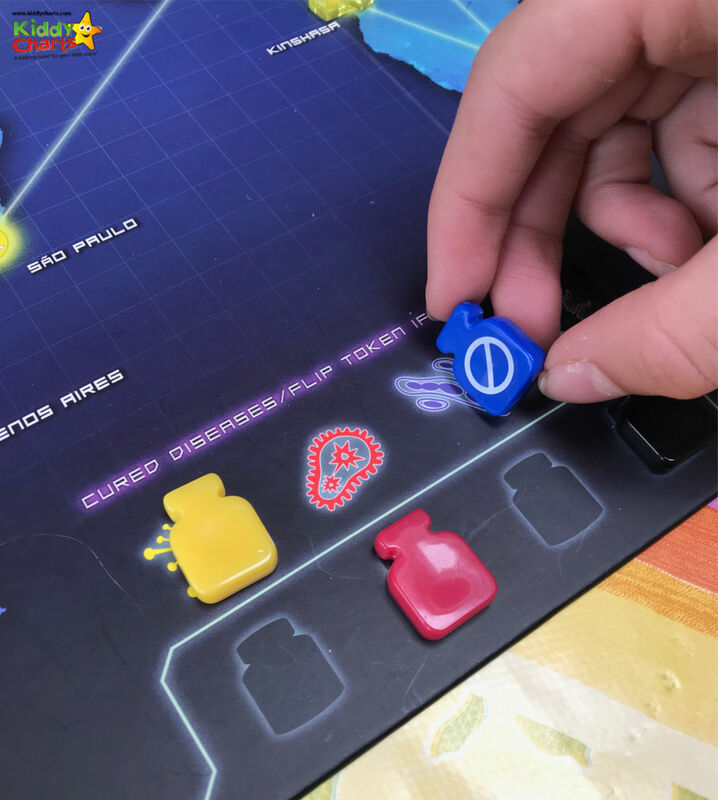 The idea is that all the players each have a specific role to play in the game to help stop the spread of four different infections across the globe. The players work together to try and steam the infection tide, and to stop outbreaks using their skills (depending on the role cards they draw), and game strategies. Every turn player decide what the best action is to stop the spread of the infection based on the current board state, and the cards in their hands of available to them in the play. 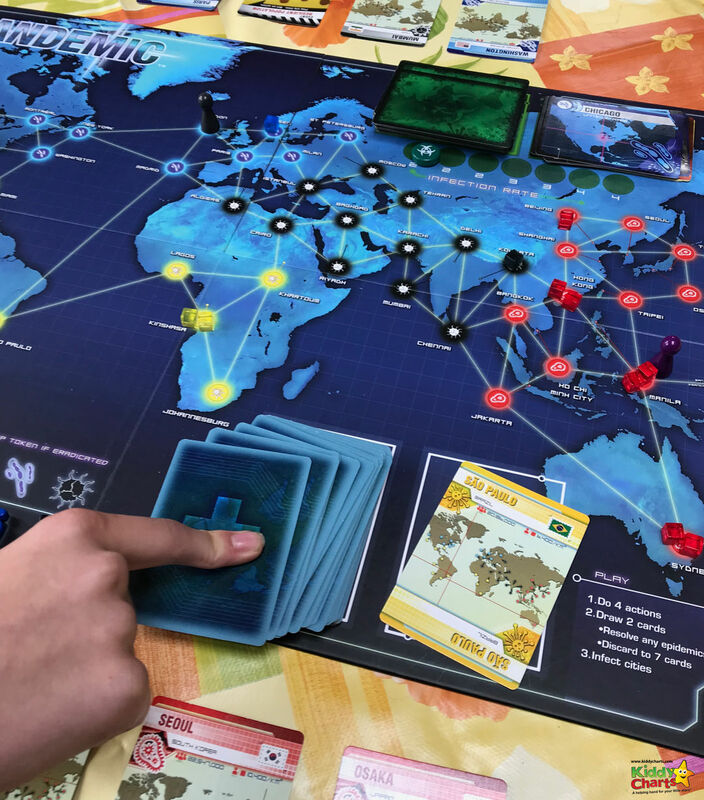 The ultimate aim of the game is to find the cure for the diseases spreading across the game board; if all four diseases are cured, then everyone has won. If however, one of the diseases reaches the highest infection level, then sadly everyone dies and looses. 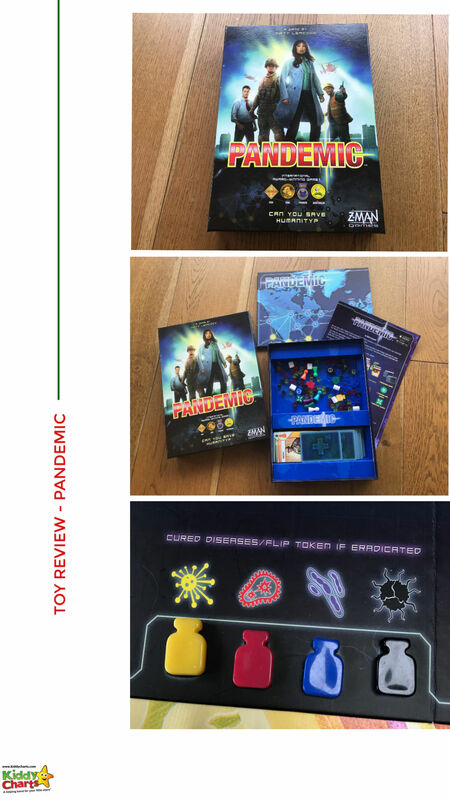 What did we think of Pandemic? This is a great idea; a game that focuses not on beating everyone playing the game, but one where everyone has to work together for the greater good. 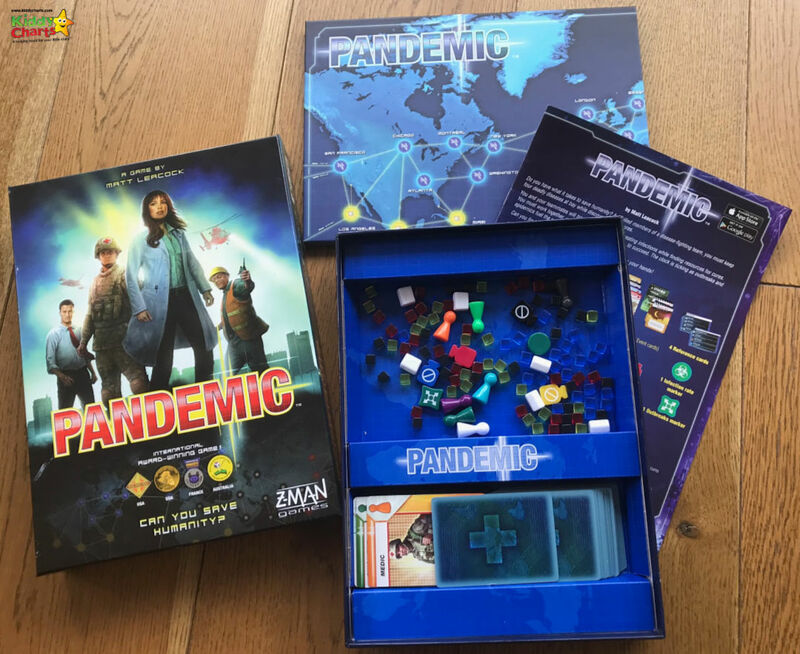 To be honest, I can’t think of another board game where the emphasis is on team-playing, so this is a refreshing difference in Pandemic. Something that he loves to do in sport, but encountered for the first time in a board game with Pandemic. The board set up is quite involved, but does make total sense in the context of the game, so is forgive-able. 🤣It is also a little difficult to understand all the possible game actions that someone can take within each turn, so everyone was really grateful for the reminder cards that are available for each player in the box. There is also further details on all the actions on the back of the instruction booklet too, so clearly the game producers know this is a tricky part of the game. It is definitely worth going slow when you first start playing, to help everyone to get the hang of things, but once the game has been played a few times, the actions become a little clearer. 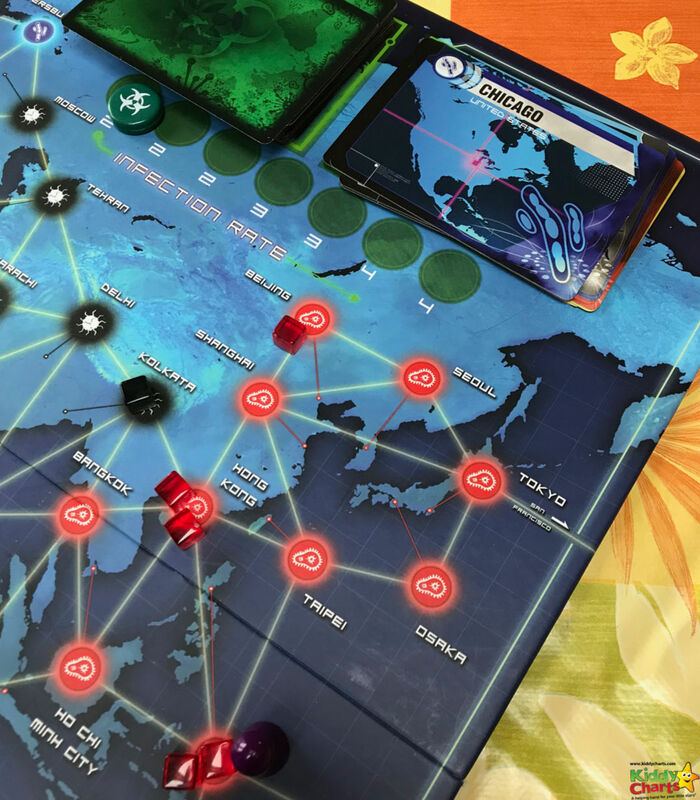 There is a lot going on in a game, and it came be hard to remember to do everything; from infecting your cities, to completing the maximum four actions in a turn, to moving on the outbreak counter! It is also worth noting that each different game role allows “special powers” to be applied to the actions you perform within a turn. As a bit of a scatterbrain family, we kept forgetting what special action/powers were for each role. It is really important to remember what each role allows though, because it really helps you to work together if you know what everyone’s capabilities are. It becomes a lot easier if you factor this into the actions you are taking, and increases the chance of finding the four infection cures you need to win the game. This is another great family game, and outstanding that it is a team-based board game rather than the usual argument-inducing me versus them game! It is refreshing to see this, and well worth spending the time learning and setting up the game to experience a new angle in board-gaming. However, do remember that, particularly if you are playing with younger kids, it is worth explaining WHY you are making the moves you are as you do them, so that there is less room for arguments to occur when people don’t agree with tactics to beat the game, and find those cures. 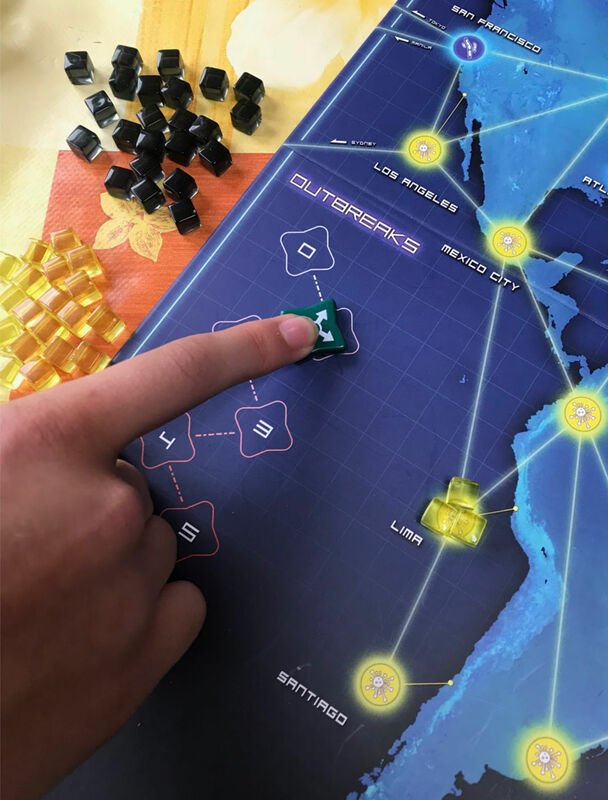 This is also a great way of helping younger players to grasp the rules of the game, and the strategies you can employ earlier on in their gaming experience too. Thanks so much as always for joining us on the site, and do let me know if you have played this game, and if you liked it. 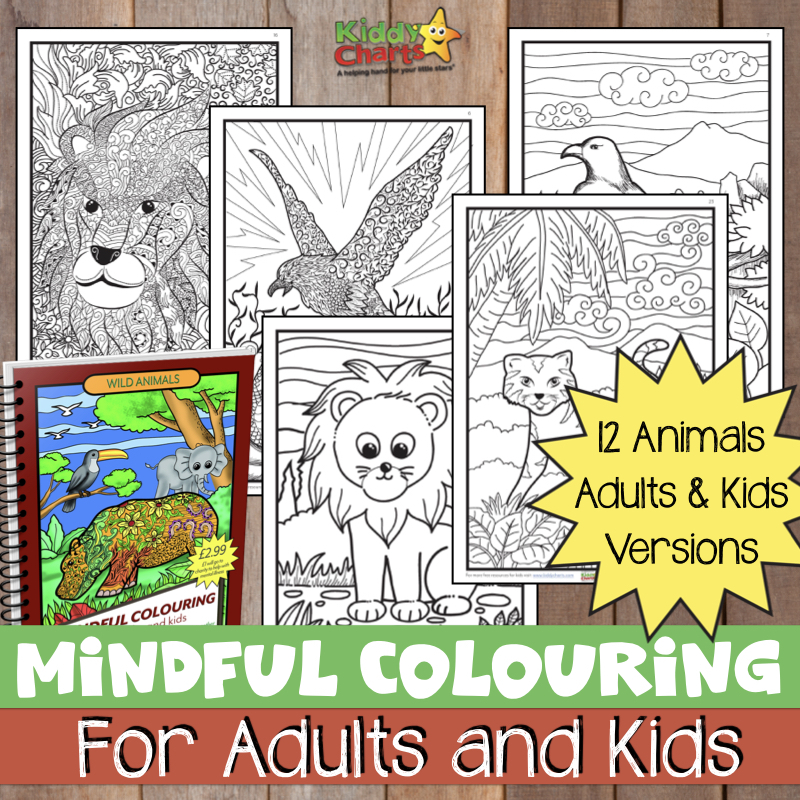 If you did enjoy this article, do explore some of our printables, and other articles on the blog too. Even better, sign up to our newsletter as well, so you never miss a thing! We only send this out weekly though. We won’t spam you. Note: we were provided with a free game for the purpose of this review, and this post contains affiliate links. All opinions are our own though. I’m really curious about the board game I think its fun to play.